Now that spring is finally here I feel like putting away all the opaque, dark colors I was wearing this winter and replace them with sheer makeup in delicate shades. I always go for more natural looks at this time of year! 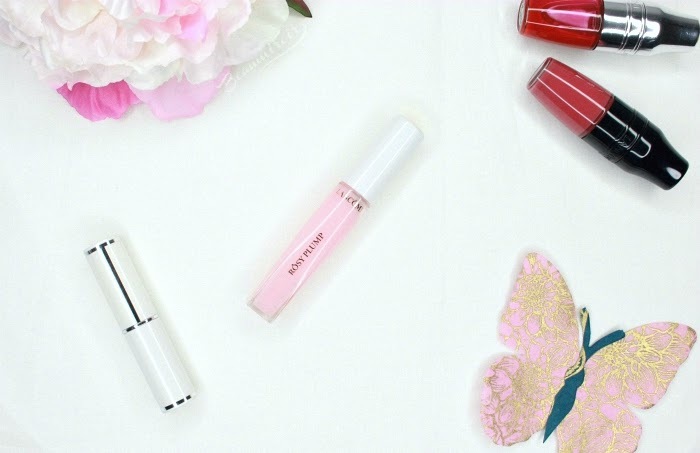 I recently picked Lancôme's new L'Absolu Gloss in Rôsy Plump, a sheer lip plumping gloss, to include in my soft spring looks. Is it one of these painful plumpers that burn your lips or the light and flattering gloss I was looking for? Keep reading to find out! The new Rôsy Plump comes in an elegant clear tube that is square at the base and becomes rounded by the middle. 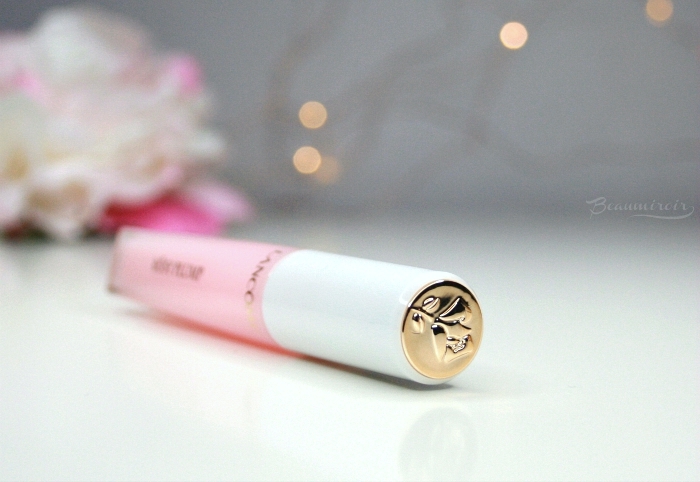 It has a white cap with a golden disc on the top embossed with Lancôme's rose logo. I really love the applicator of this gloss: it's just the right size, flexible but not too much, and the pointed tip makes it very precise. It really doesn't matter much for such a sheer gloss, but it makes me want to try other, opaque colors in the new L'Absolu Gloss range! 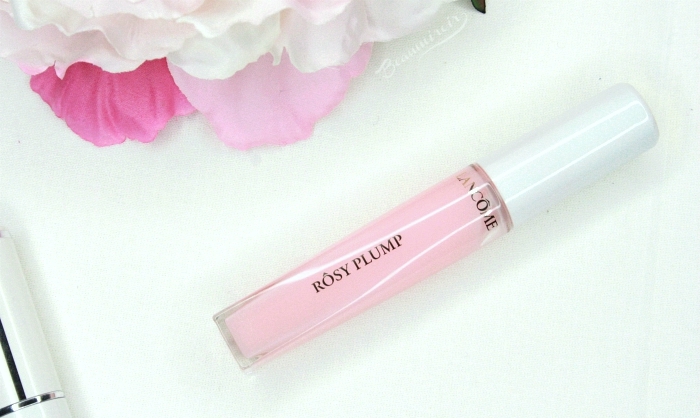 Lancôme says that Rôsy Plump has a sheer rosy tint, and while you can see a milky pink color in the tube, it applies completely sheer on the lips. It doesn't have any shimmer either, so it looks like a plain clear gloss. It is, however, extremely glossy. On the shine scale this one is at the very top level! Call it wet lips or sugar syrup effect, this gloss reflects the light almost like glass. If you're into high-shine gloss, this is for you! The cooling effect of Rôsy Plump kicks in about one minute after application for me, and it lasts much longer than expected at a little over an hour. It feels fresh and minty, but it's absolutely not painful like some other plumping lip products I have tried. My lips don't burn or feel like they were just stung by a bee (hello Too Faced Lip Injection...)! I wouldn't even say that it's tingling, it just feels refreshing really, so it's quite comfortable and pleasant. As for the plumping effect, I would say that it's mild but visible. After a few minutes my lips look a little bit pinker - I suppose due to the minty cool feeling increasing blood flow. They also appear a bit smoother, with the vertical lines softened and less noticeable. Part of that effect is probably an optical illusion caused by the high-shine finish of the gloss, so expect smoother looking lips, not a duck pout! 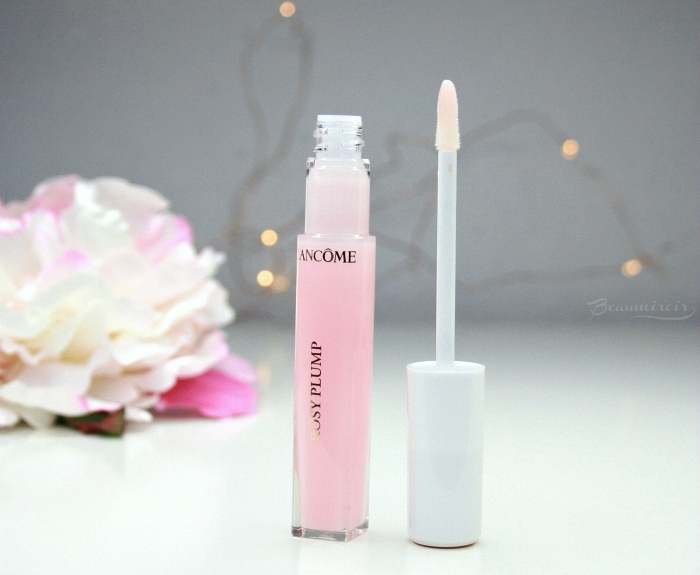 If you like very shiny gloss, or if you have been looking for a gentle lip plumper that doesn't burn and hurt, you might really enjoy Lancôme's Rôsy Plump. 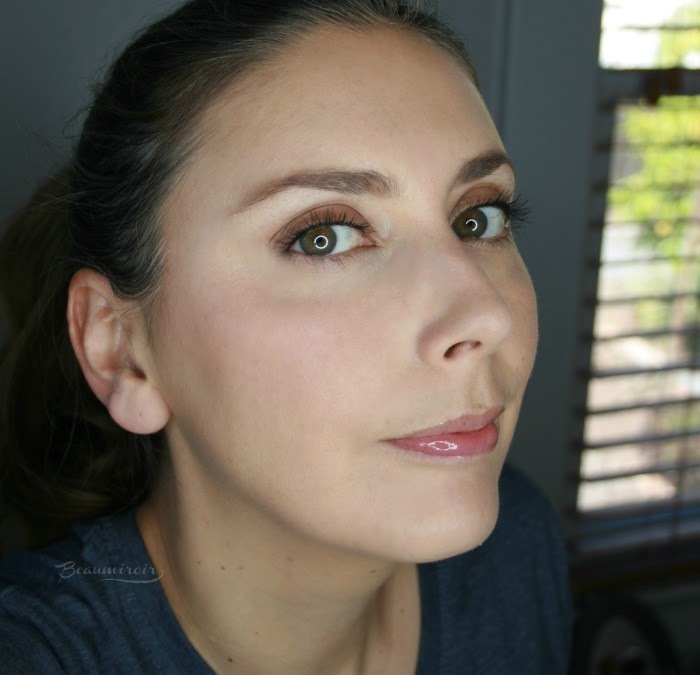 I've been wearing it a lot on casual makeup days to add just a bit of shine to my lips and make them look smoother. I don't think I've ever finished a lip gloss in my entire life, but this is one I can see myself using a lot throughout the spring and summer this year!